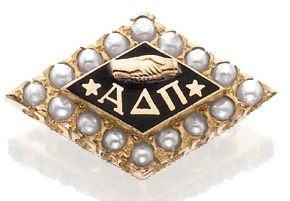 Founded in 1851, Alpha Delta Pi holds the distinction for being the first society founded for college women. Originally named The Adelphean Society, Alpha Delta Pi was created at the Wesleyan Female College in Macon, Georgia by Eugenia Tucker Fitzgerald. Since then, over 235,000 women have come home to Alpha Delta Pi chapters across the country! The qualifications for membership have remained unchanged throughout the years: scholarship, high principles, and true friendship. Our Mascot's Nickname is Alphie!